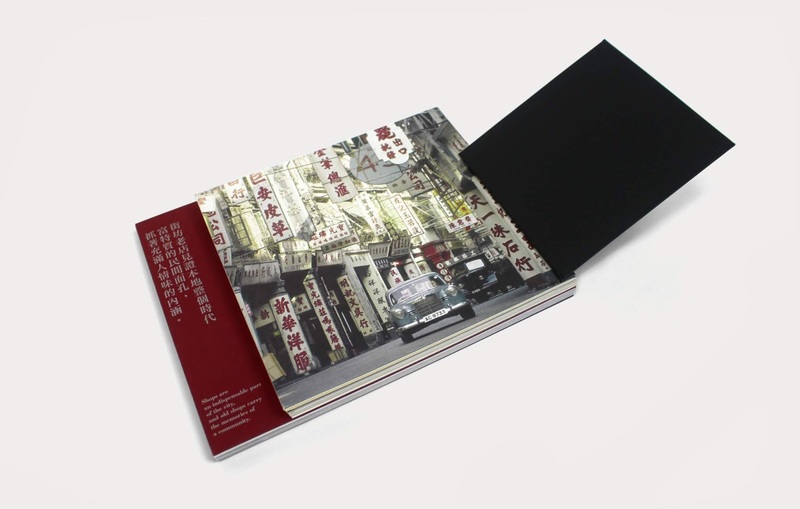 “Hong Kong Old Shop II” is a well-designed book about the stories of old shops in Hong Kong. 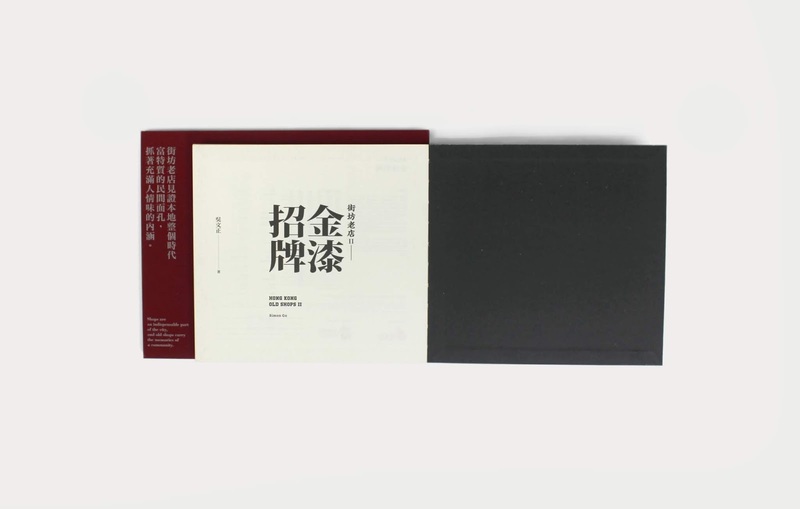 This book is mainly divided into two parts. 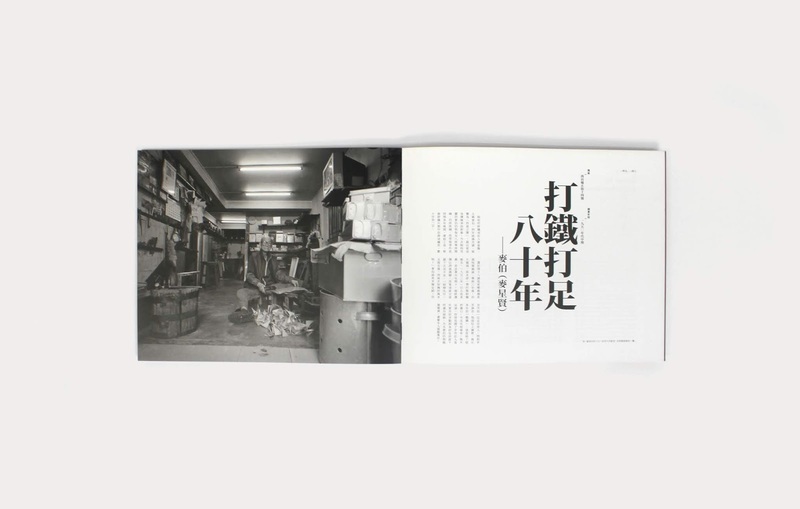 The first part attempts an analysis through the aesthetics of old shops, including former and present incarnations of store signs, décor and layout, with emphasis on business strategies and social issues. 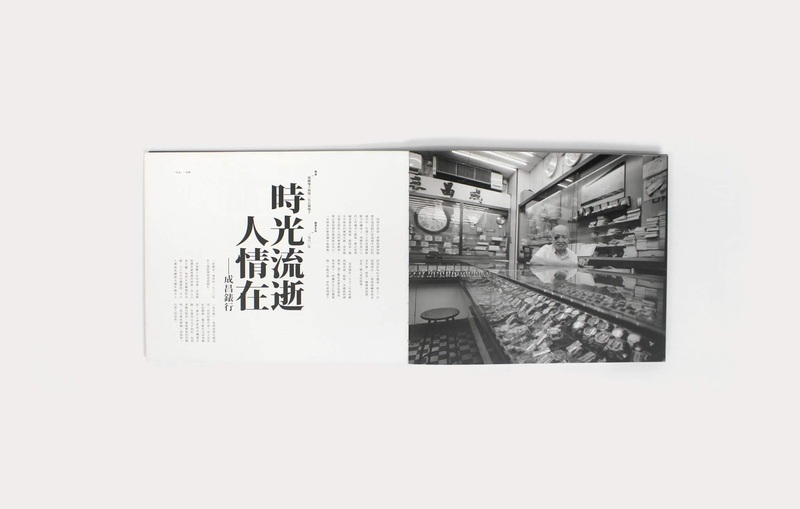 The second part is centred around photographs. 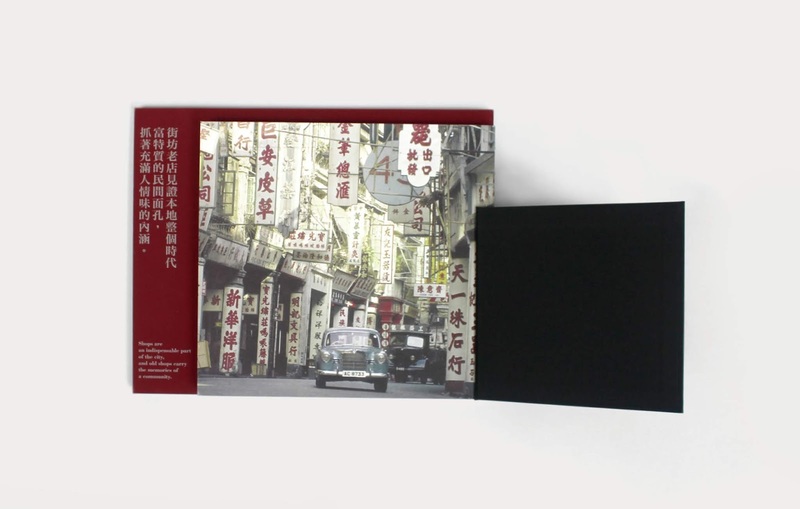 The author is a local famous photographer, who has been wandering through the streets for many years. 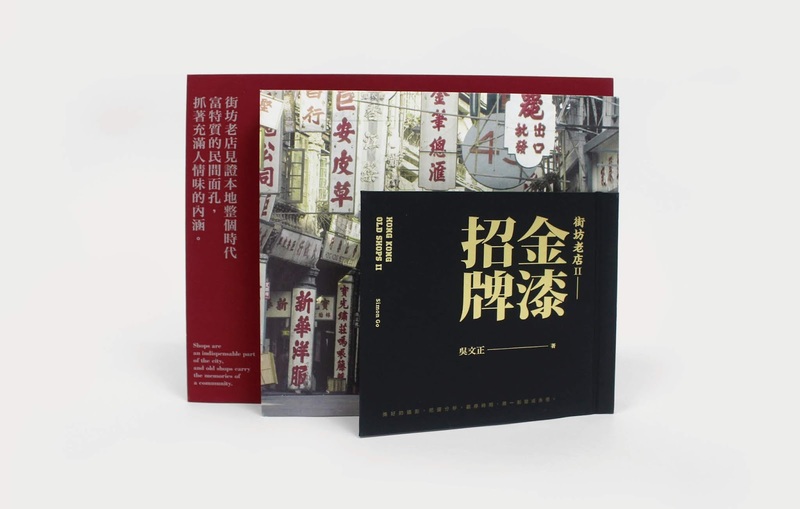 Every picture in this book is filled with loving details, reflecting a century’s worth of stories about local old shops. 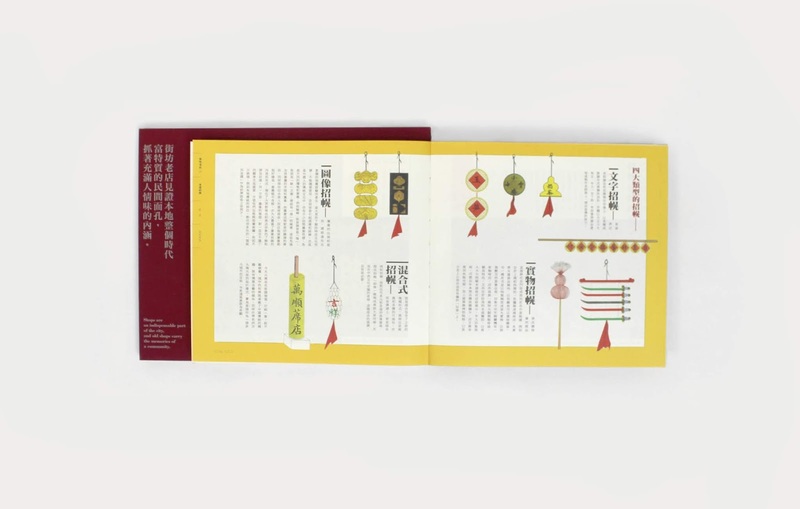 The structure of the book is very special. 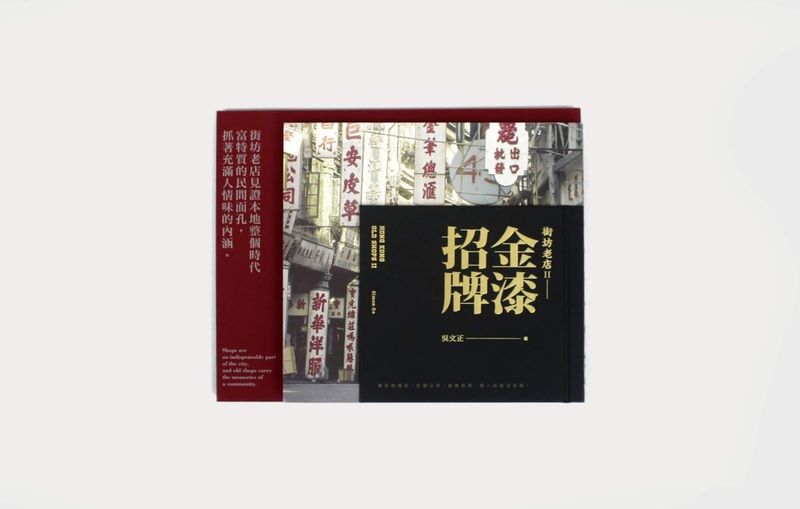 The large book title “Hong Kong Old Shop II” is gold-foil-stamped on a pretty small-size black hard cover. 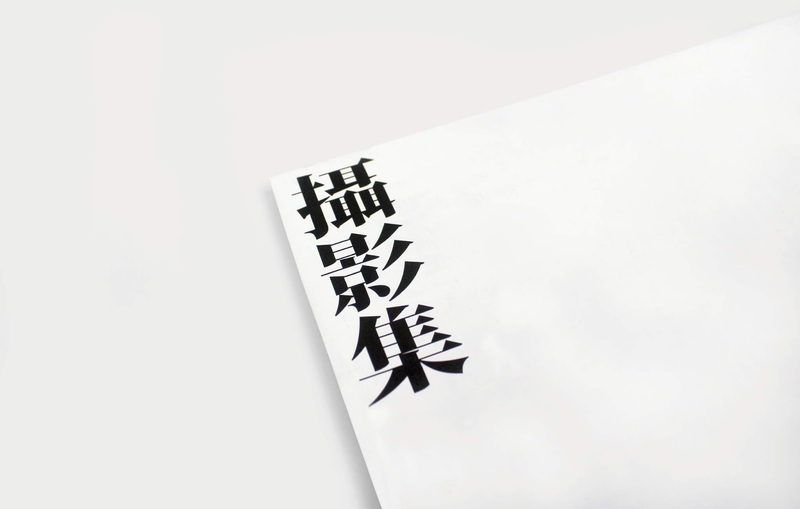 It echoes with the traditional concept of “Golden Paint Sign”. 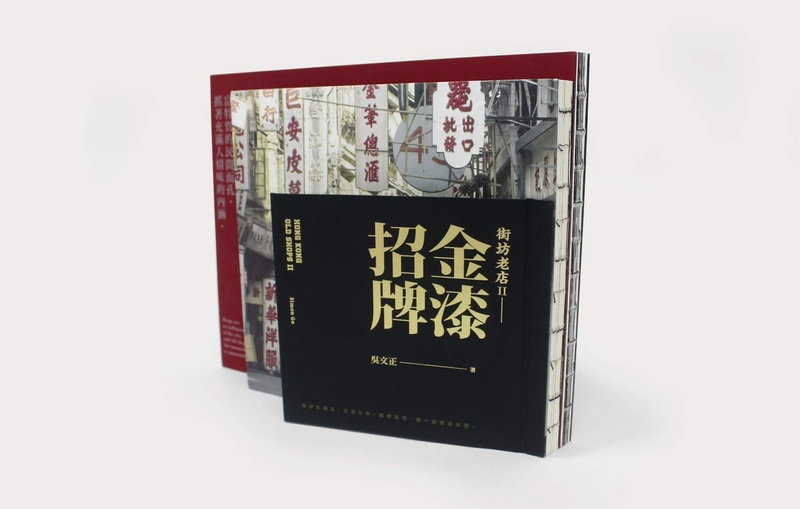 The first part is in a comparatively square size with an beautiful old street image on a hard cover. 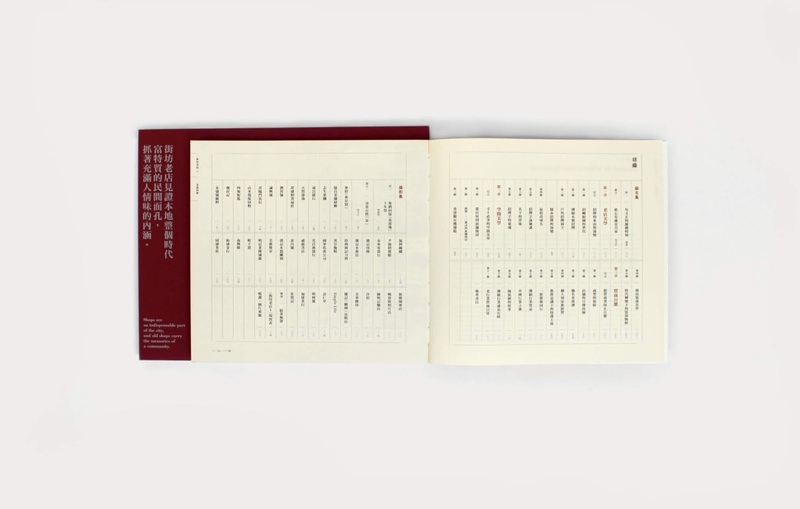 In addition, the second part is a large horizontal size with a dark red cover. 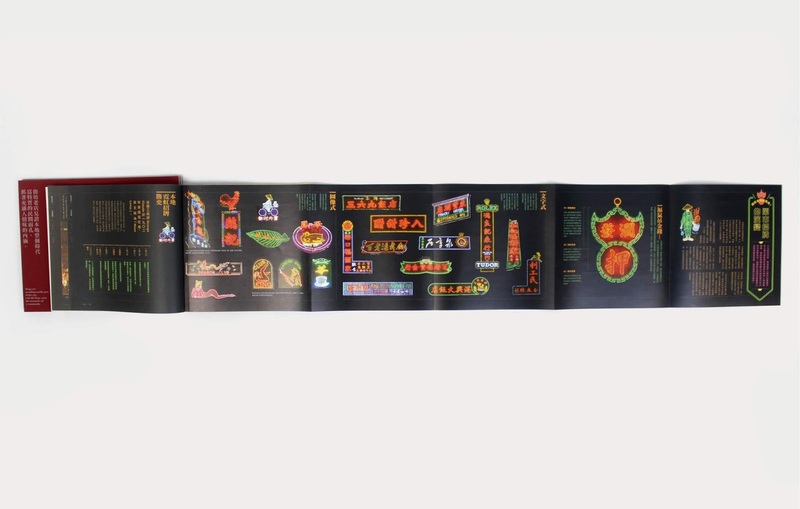 In total, there are three covers/ parts bound together. 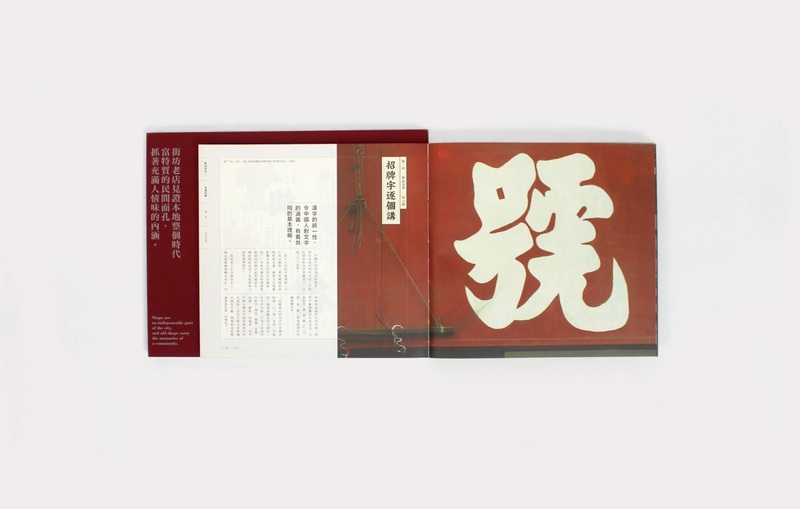 The layering and overlapping structure resembles the feeling of of different signboards on the streets of Hong Kong. 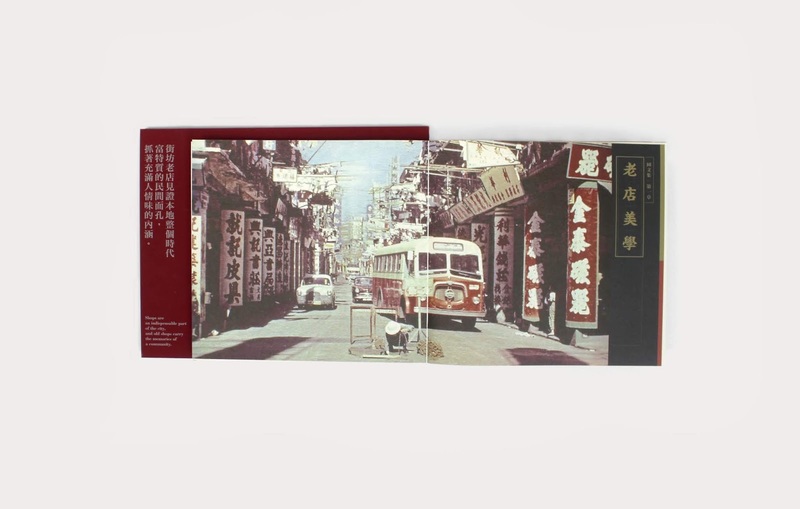 It reflects a kind of messy beauty of Hong Kong. 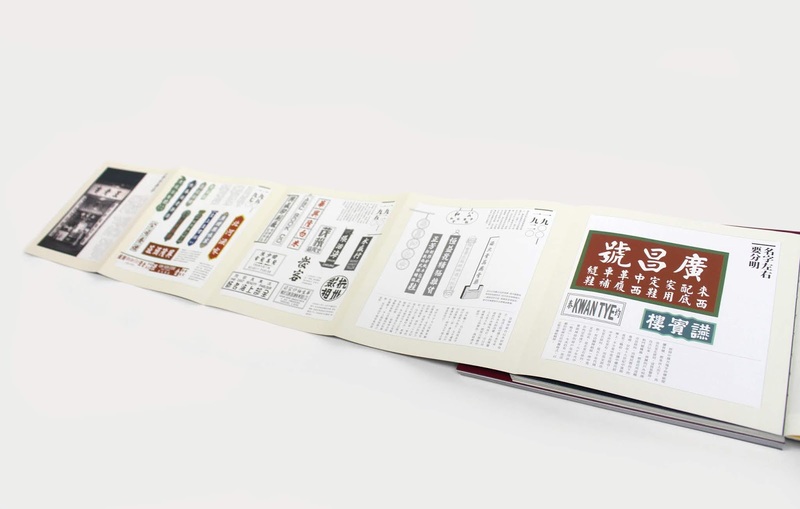 All the photos, typography and information graphics are assembled together with excellent editorial design. 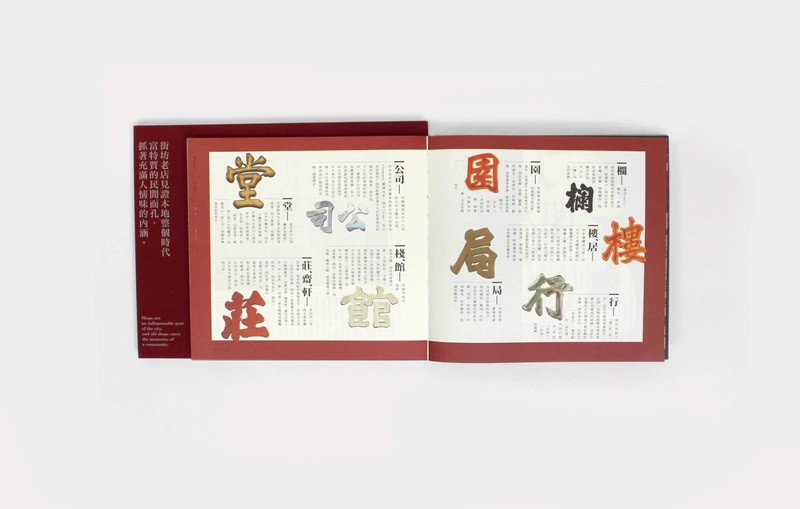 A long folded paper is inserted in the book, presenting the evolution of signboards one by one. 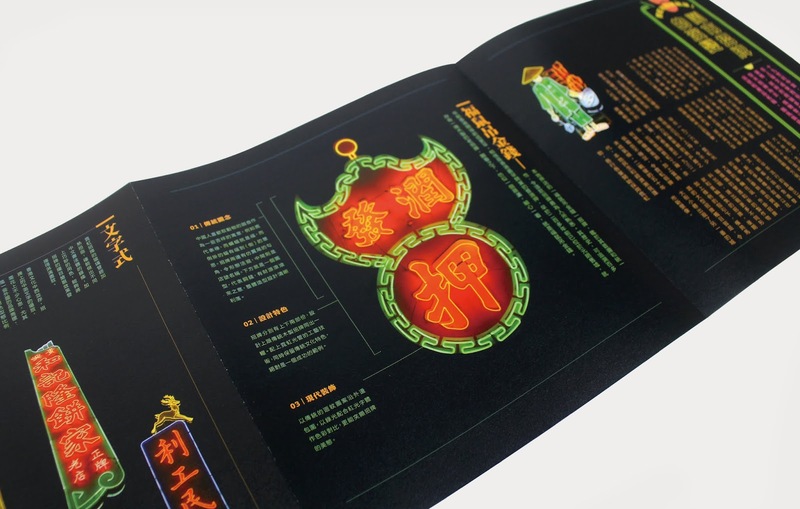 Every part of the book is designed with lovely details.